New York, June 8, 1970. “Mmmmmmmmmmmmmmmm. 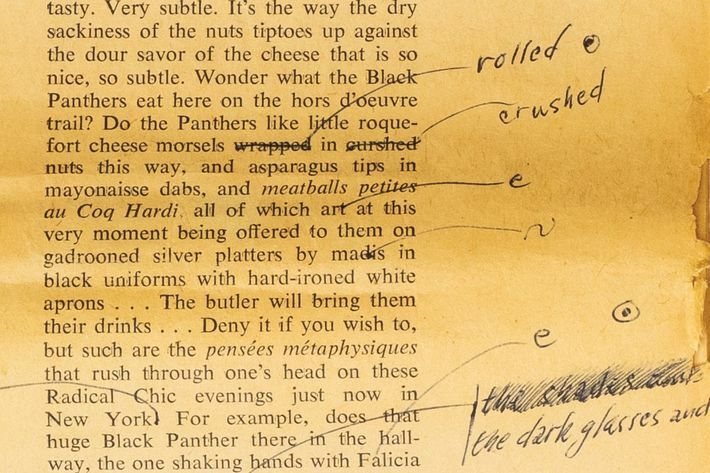 These are nice,” begins an early scene in Tom Wolfe’s “Radical Chic: That Party at Lenny’s,” published in New York Magazine’s issue of June 8, 1970. He was talking about the Roquefort hors d’oeuvre rolled in nuts, which were indeed nice, but what was going on that night was flat-out spectacular. 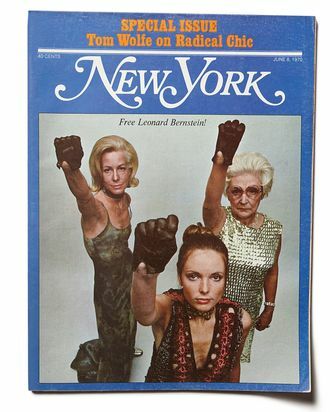 Wolfe had crashed a fund-raiser at Leonard and Felicia Bernstein’s apartment, and there he found the cream of New York’s cultural elite making small talk with, and donating to, the Black Panthers. Within days, the party became notorious; weeks later, after many, many drafts, Wolfe published his 25,000-word, high-proof social comedy about the collision of cultures. 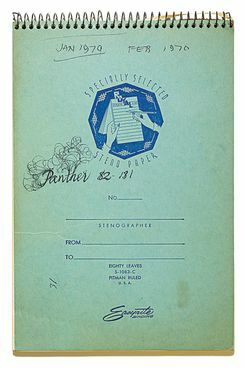 The party chatter, which Wolfe took down in shorthand rather than with a tape recorder, constitutes a large portion of the story. Which hit like an earthquake the week it was published. 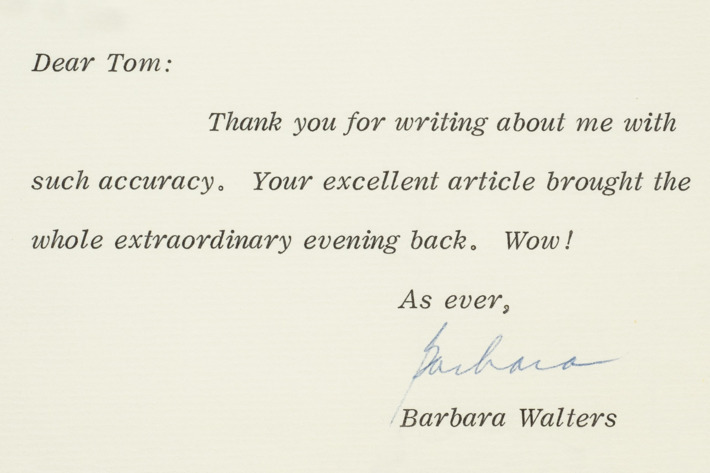 Wolfe and his editors were praised, denounced, and most of all, talked-about. Wolfe, already a star, was henceforth perhaps the most in-demand journalist alive; New York, a shoestring operation barely two years into its existence, was off and running. 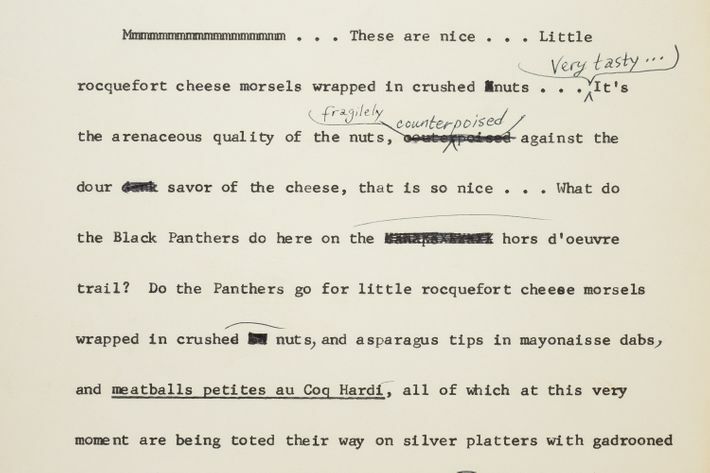 And the story of the story (much of it appearing in these documents from the Tom Wolfe Papers on deposit at the New York Public Library) is almost as epic as “Radical Chic” itself. 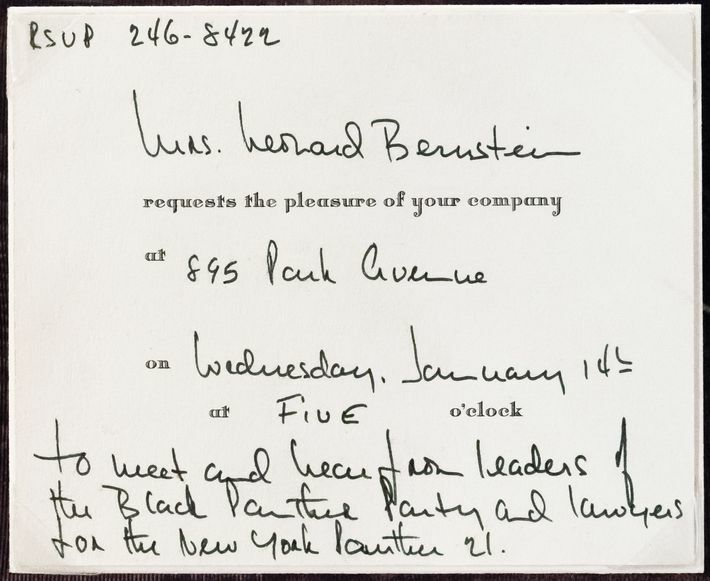 Felicia Bernstein’s invitation, filched by Wolfe from David Halberstam’s desk at Harper’s. 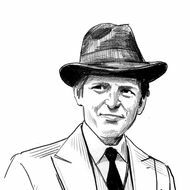 “At a desk outside the [Bernsteins’] door … I said, ‘Tom Wolfe,’ and sure enough, there he was, Tom Wolfe, listed on a yellow legal pad … Like any boy who has been instructed at cotillion to pay his respects to the host and hostess first … I sought out Leonard and Felicia Bernstein and introduced myself. From Curtis’s story in the ‘Times,’ January 15, 1970: “The conductor laureate of the New York Philharmonic did most of the questioning. Donald Cox, the Panther field marshal and a member of the party’s central committee, did most of the answering, and there were even moments when both men were not talking at the same time. “Mr. Cox, a tall, handsome man in a black turtleneck sweater and gray pants, nodded his head. Galley proofs with his final corrections. The Nixon administration weighs in. 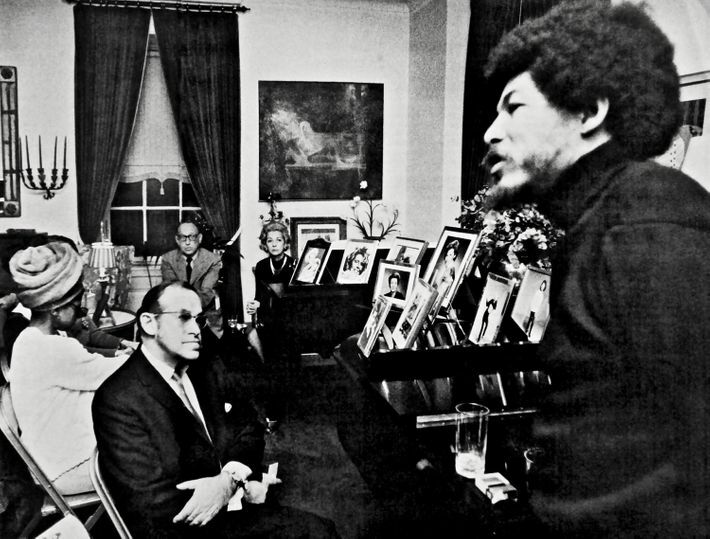 Letter from Norman Podhoretz, June 4, 1970: “A masterpiece.